Virtually all of the various parts of plants are eaten, but not every part of every plant is edible. Some plants are poisonous and therefore inedible, some are not poisonous but distastefully inedible, others have more than one edible part, while still others have both edible and poisonous parts. Featured raw in salads and on sandwiches all over the world, what we call lettuce is actually the leaves of the plant, as is cabbage. Other plants whose leaves we eat include spinach, kale, collards, turnips and beets. Herbs used for seasoning and for medicine are by definition the leaves of fragrant, flavorful plants. 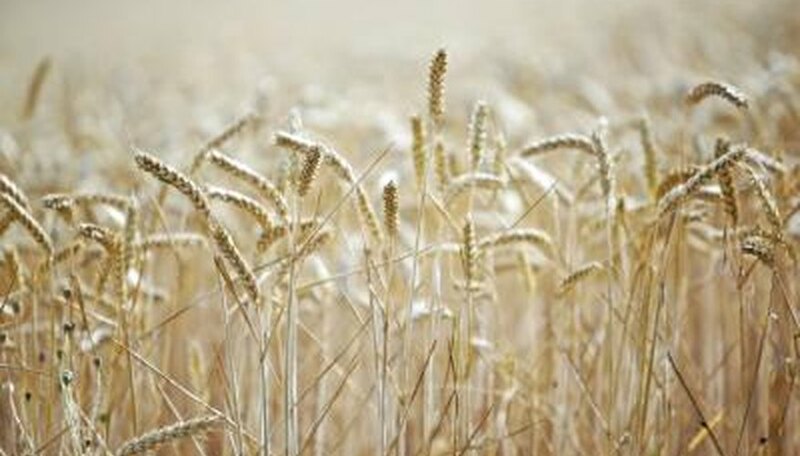 Grains, comprising the bulk of the world's diet, are the seeds of plants in the grass family, such as wheat, corn, rice, barley and rye. Nuts such as almond and walnut are the seeds of giant, long-lived trees. Corn, beans and peas are all vegetables whose seeds are the part we eat. Grown and stored overwinter in cool, damp “root” cellars, vegetables with edible roots such as potatoes, onions, carrots, parsnips, beets and rutabagas easily provided fresh food during the winter before the days of refrigeration. In modern times, they continue to be popular, as well as delicious. The most popular vegetables grown for their stems include asparagus, celery and rhubarb. Also edible, but less well-known, are the newly grown tips of bean vines, pea vines, cucumber vines and sweet potato vines, according to University of Illinois Extension. Although considered an edible “bulb,” the bulb-like kohlrabi is actually the lower, swollen stem of the plant. Tomatoes, eggplant, cucumbers, squash and melons are all technically fruits, as the succulent, edible part surrounds the seeds, which may or may not be eaten, depending on the variety. Note that these vegetables all require hot weather to produce a crop, and their seeds, which produce the next generation, require a substantial protective covering to survive the extreme temperatures of their native climates. Although many flowers grown for decoration are also edible, the flowers we eat most are immature, unopened buds on plants we call vegetables. Broccoli, cauliflower and artichoke are all unopened flower buds that become practically inedible if left to mature. Capers, a popular edible and flavorful garnish, are the unopened buds of a Mediterranean shrub. Although they contain their seeds in a manner similar to vegetables classified as fruits, peppers are technically considered a “pod,” according to Texas A&M University Extension. Other pod vegetables, which all contain edible seeds, are okra, green beans, snap peas and snow peas.